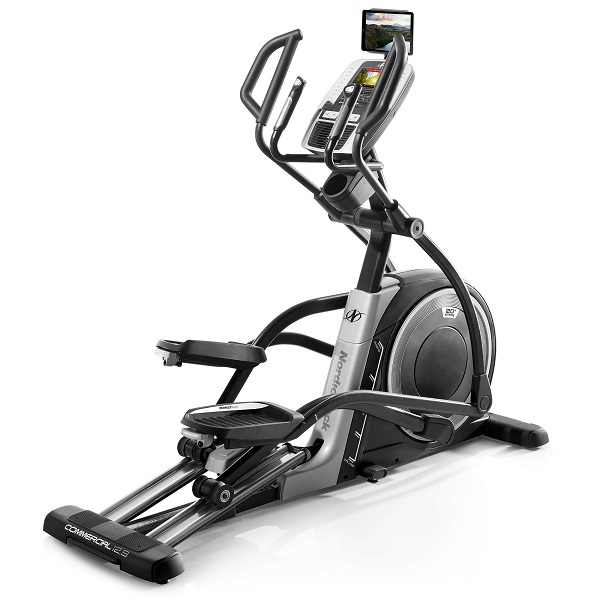 The Reebok Z9 elliptical trainer is part of the z-series range. 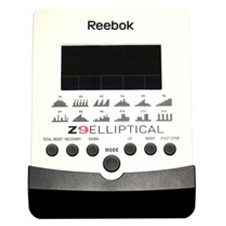 Z-series machines are the latest generation of home fitness machines that replace Reebok’s previous I-series. 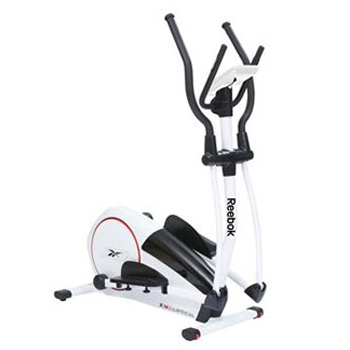 Previously, there have been many Reebok home cross trainers (such as the Pure) where it was clear that there is a price premium on the machine due to the Reebok brand. So what’s this cross trainer like? On reviewing the machine, we were very pleasantly surprised! 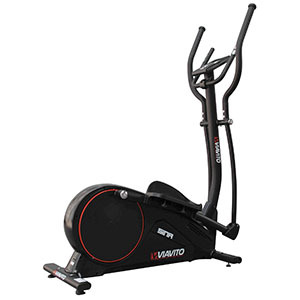 This is a nice looking compact cross trainer with a footprint of only 92cm by 52cm (though an additional 30cm should be provided at the front to provide enough space for the full swing of the arms). The next surprise is the console! It’s a rather nice affair with with a nice colour LCD screen at the center. The clever computer is both simple to use and actually rather feature packed. Simpllicity is in no way compromised: to just use the machine, it’s just a case of getting on it and pressing the start button in the middle! 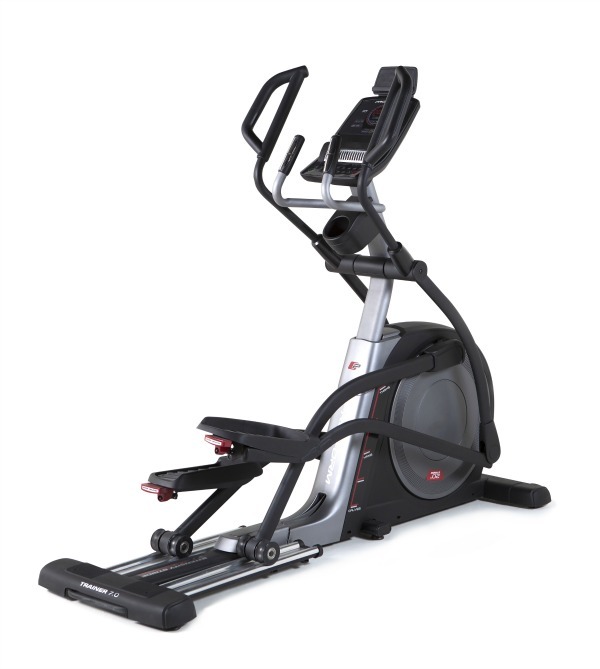 This starts the cross trainer in manual mode, with the resistance level being controlling using the up and down buttons on the console. Resistance can be adjusted in 32 levels. In order to ensure workout variety, the console is packed with programmes, The first programme is a manual programme, which is actually a target programme: You simply set the time , distance, or calorie target for the workout and begin exercising (manually changing resistance to desired levels). The target parameter simply counts down to zero to let you know when your exercise goal has been achieved. The surprise for us that it’s possible to set a target watt level as well. 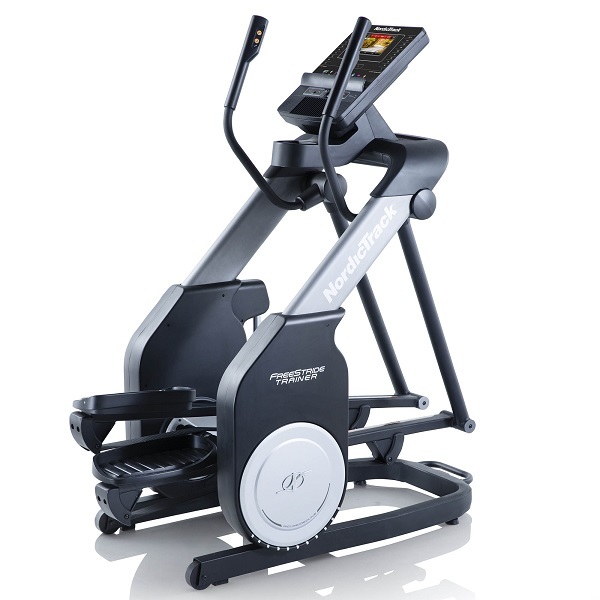 With this feature, the Z9 is actually an ergometer – something we really weren’t expecting to see in a budget machine! An ergometer is a machine that is calibrated to measure the amount of effort being expedited as part of the training. This is calculated using a combination of the computer controlled resistance level and the striding speed and is measured in Watts (just like a light bulb). 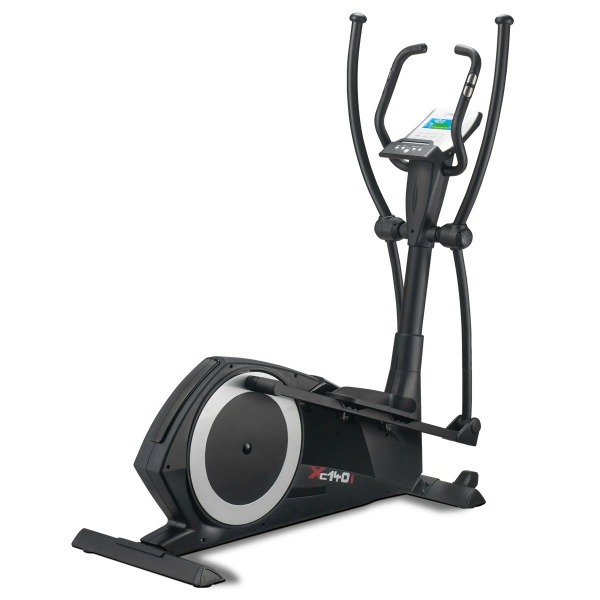 With the Z9 cross trainer, it’s possible to set a target WATT level and the computer automatically keeps adjusting the resistance, factoring in the stride speed to try to keep the level of intensity constant. There are 12 pre-set programmes and the console (pictured below) has the profiles of each printed directly on the console. Each of these twelve programmes can have their difficulty level set. There is a heart rate controlled programme, with the option of entering age and being able to select between 3 different percentages of maximum heart rate or entering a target heart rate in BPM. Whilst we’re great fans of heart rate controlled training, it should be noted that this programme requires the console to be receiving a continuous pulse rate, which would gripping the static handles with the pulse sensors. We feel that this reduces the level of upper body exercise and would advise against training in this way. There are certainly plenty of other options available on this machine!! In addition to the manual target programme, constant Watt programme, 12 scalabale pre-set programmes and the HRC one, there is even a facility to create a bespoke user defined programme through an intuitive interface! 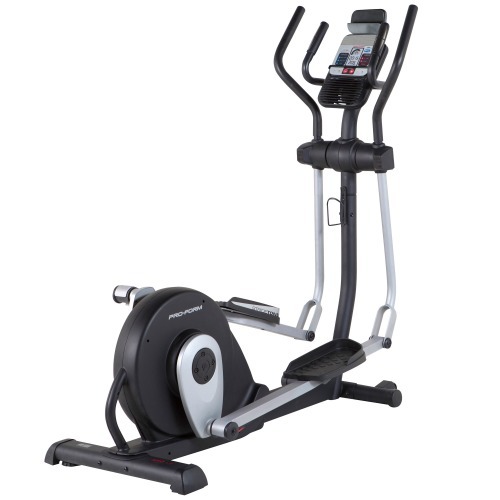 Finally, this elliptical trainer has a fitness test function. After an exercise session (with your heart rate elevated), you press the fitness test button and grab the pulse grips on the handlebar for one minute. The computer monitors the rate at which your heart rate is returning to its resting level and based on that provides a fitness rating between 1 and 8 – the lower the number, the better your fitness level. We think a machine having a recovery / fitness test built in is extremely useful in providing motivation by actually enabling the user to see improvements in their fitness levels over a period of time. The Reebok Z9 is not currently available from any retailers we're aware of in the UK. There's a hell of a lot of cross trainer packed into the Z9's compact dimensions. 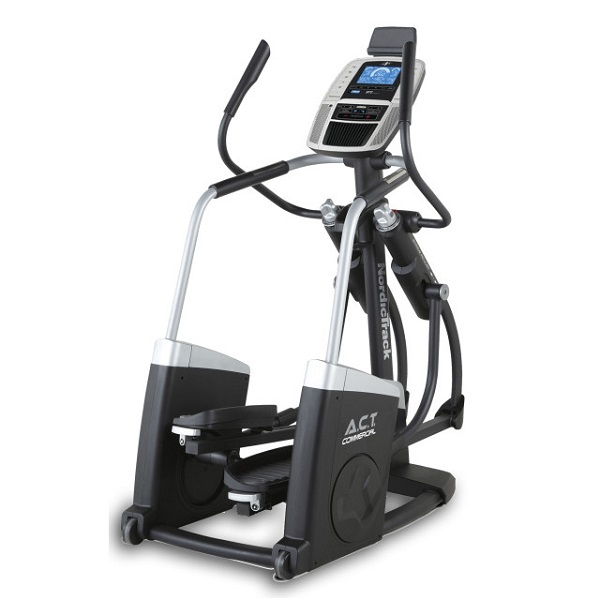 In addition, the machine has leg levelers on the real footrest, ensuring that the cross trainer will be stable on slightly uneven floor and there are a pair of transport wheels at the front to enable the machine to be moved. 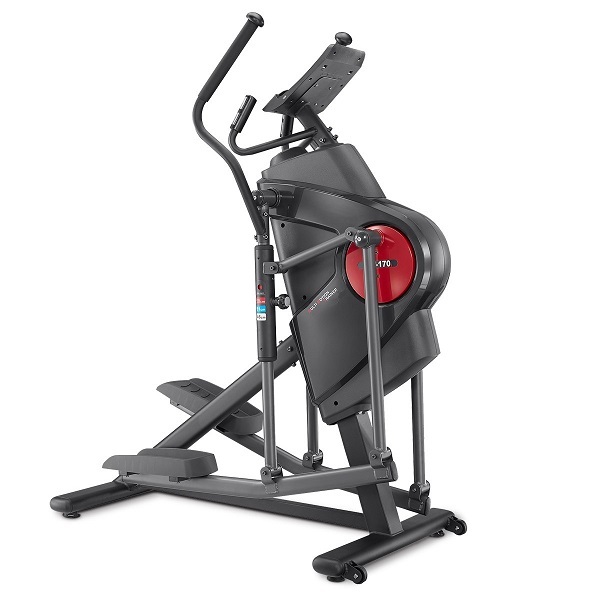 As a machine that is available for under £300, the Reebok Z9 is hard to beat - it's stylish, has a decent stride and lots of functionality! The console features a very large, back-lit colour LCD screen which is divided into logical segments. 5 segments at the bottom of the display provide continuous feedback on exercise metrics such as time, speed, resistance level, calorie consumption and pulse rate. 3 of these windows display two sets of information and you can toggle between the sets using the mode button in the center of the console during exercise. The main area of the display is used for programme related information such as displaying a programme's profile so that you can see how far through a programme you are and what's coming up next. The buttons on the console are simply and clear to use. The only thing is keeping in mind that the 'mode' button is effectively an enter button in relation to questions asked on the display. 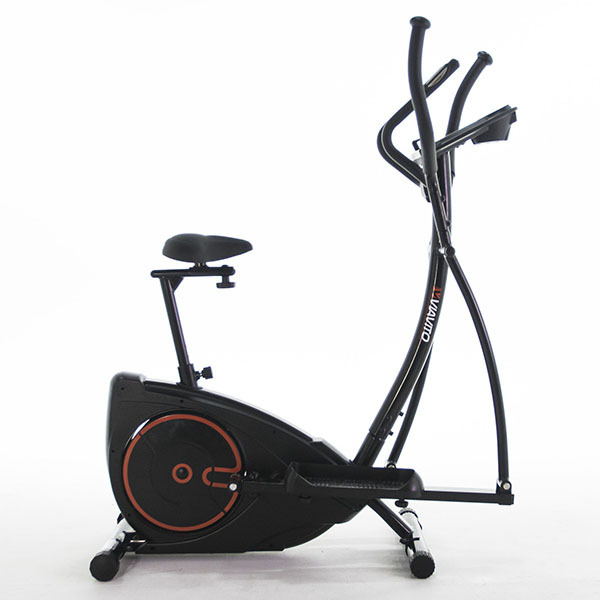 The build quality, smooth action, large and clear display, ergometer. No wireless heart rate receiver.